Banda Magda will perform their unique style of French pop, Latin and jazz music on Thursday, August 23 at 6 p.m. outside on the Weis Center Plaza to kick off the Weis Center’s new 2018-19 season. The family-friendly performance is free and tickets are not required. The rain location is the Weis Center Atrium. Patrons are encouraged to bring a lawn chair, blanket and picnic. A free pre-performance lecture with the artists will take place the same day as the performance at 1 p.m. in the Weis Center Atrium. 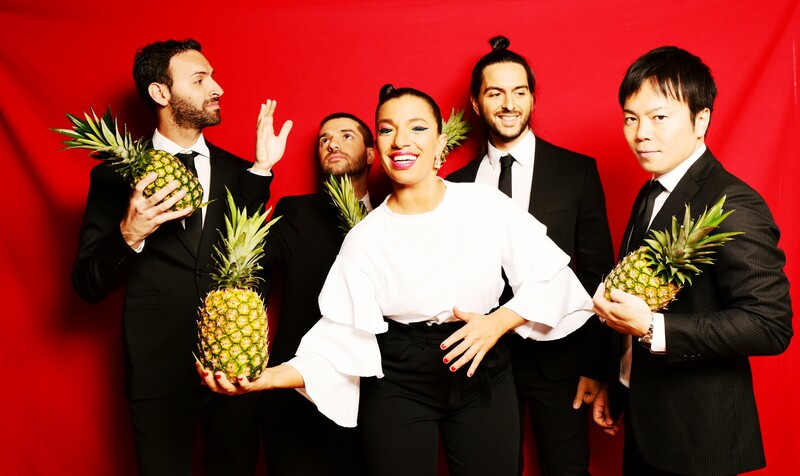 Led by Greek-born composer, orchestrator, singer and accordionist Magda Giannikou, Banda Magda moves from samba to French chanson, from Greek folk tunes to Colombian French chanson and Afro-Peruvian landó. Drawing on the band’s global background (Greece, Argentina, Japan, Colombia and the United States), the group combines South American rhythms with jazz improvisation, cinematic arranging, sophisticated audience participation, mid-century classics and world chansons sung in six languages. The performance is sponsored, in part, by Susquehanna Life Magazine, currently celebrating their 25th anniversary. The Exchange’s Art Cart will be on-site with special all-ages activities related to this performance. For more information about this free performance contact Lisa Leighton, marketing and outreach director, at 570-577-3727 or by e-mail at lisa.leighton@bucknell.edu. For more information about the Weis Center for the Performing Arts, go to www.bucknell.edu/WeisCenter or search for the Weis Center on Instagram, Facebook, Twitter or YouTube.